We've put together the best information to get your clothing line up and running as quick and cheap as possible. Start testing out your ideas and making a profit today. The traditional way of starting a clothing company is getting around 6 designs printed, a nice website, professional photography, logo designed, pay for advertising, and then see if anything sells. You have just spent thousands of dollars in the hope that people will like your brand and buy your products. This is a ton of risk! 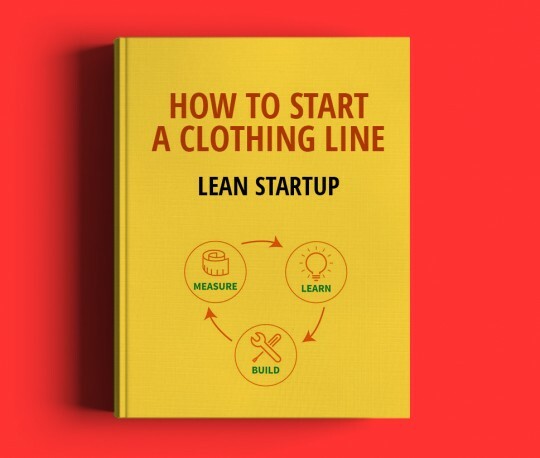 There is a better way, and that’s what this Lean Startup Guide is going to show you. Instead of spending thousands of dollars you are going to get up and running with as little money as possible and as soon as possible. You are going to start getting data immediately and see what works and what doesn’t so you can guide your clothing company in the right direction. "Entrepreneurship is living a few years of your life like most people won’t so that you can spend the rest of your life like most people can’t." Download the guide, right now, for FREE! It's time to take action and start your clothing line today!